Visit Carymoor Environmental Centre this half-term for some Feathery February Fun! 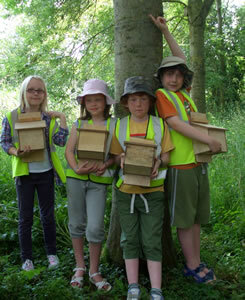 Carymoor will be celebrating National Nest Box Week with family activities inspired by our feathered friends! 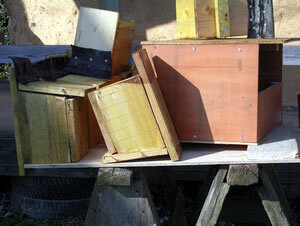 There will be lots of fun things to do, including the chance to build your own bird box to put up at home. You can also make willow bird feeders or a "bird's builders yard" where birds can collect nest materials. Try your hand at creating edible treats for the birds and enjoy some yourself - light refreshments will be on sale in the education centre. The centre will be open on Wednesday 15th and Thursday 16th February from 10.00am - 12.00 noon and 2.00pm - 4.00pm. There is a small charge of £7 per family (up to 2 adults and 2 children) plus £1.50 for each additional participant, which includes all the materials you need to create your bird box. For more information or to book email or phone 01963 350143. See our website www.carymoor.org.uk to find out about other events at Carymoor.